My contact lenses are a pretty important part of my life. I am extremely short-sighted and if I don't have my vision corrected, I can't cross a road or see a computer screen, let alone drive a car, work, or do anything safely aside from just sit still and wait for help. I was reminded of this fact some years ago when an eye infection meant I couldn't put my contact lenses in, and I couldn't find my glasses. One of my friends literally had to walk me down the road to the optician, holding on to me to guide me. It was terrifying. 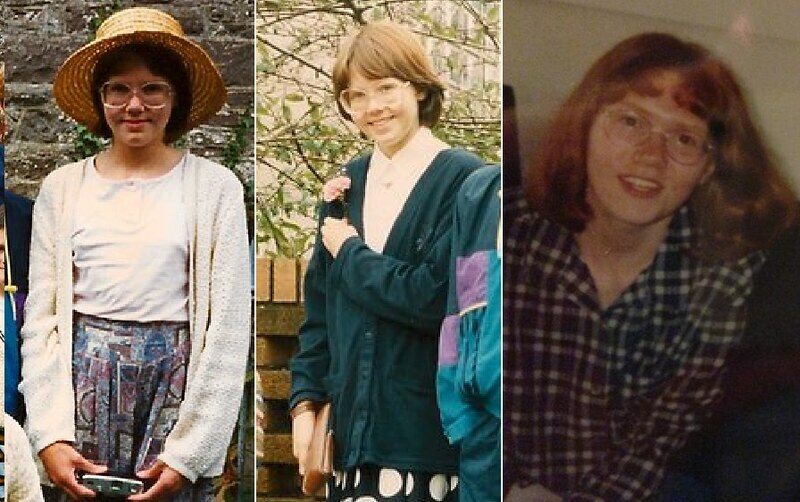 I've worn glasses since I was 8 years old, and back then, let me tell you there was no 'geek chick'. 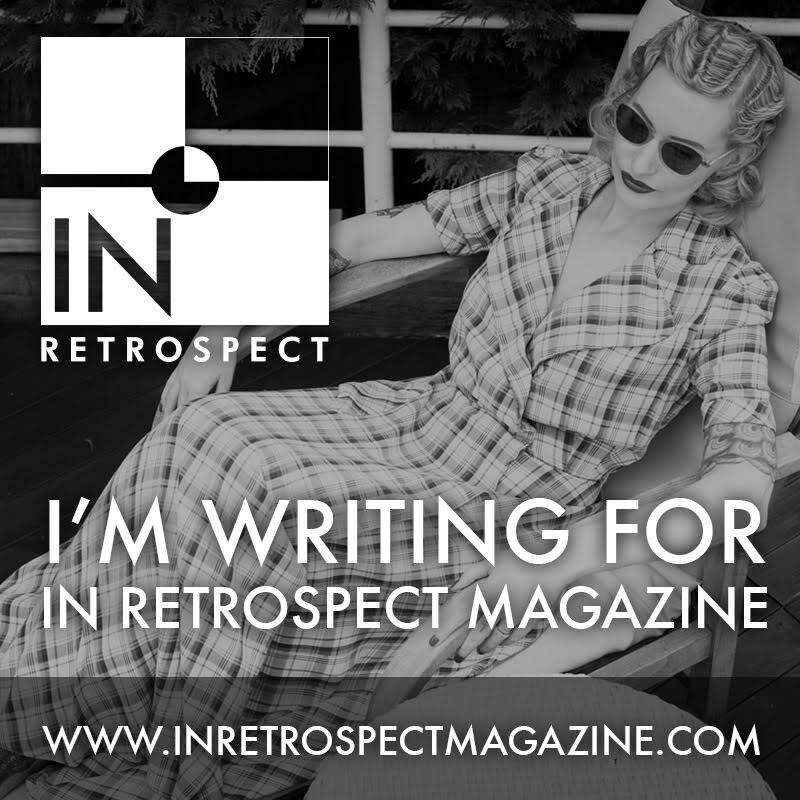 Glasses were not at all trendy, and the lack of technology meant that if you had weak eyesight, your lenses would be very thick, adding to the overall undesirable look. Bonus points for having some part of the frame held together with a plaster or sellotape. I haven't worn my old glasses, apart from around the house, for years as I don't feel they really suit me. The prescription was a bit out-dated also, so I recently took the plunge and ordered some bespoke glasses from Tom Davies. What do you think? My strong prescription means that I can't wear many styles of glasses that you would pick off the shelf. I have compressed, 'high index' lenses. These type of lenses are thinner in the centre above the pupil, and get thicker as they go outwards. So if I had a pair of glasses with a large distance between my pupils and the rim, they would get ridiculously thick at the edges. In the past I've been restricted to quite small, narrow frames (which is the opposite of what I go for in sunglasses where the bigger the better!) 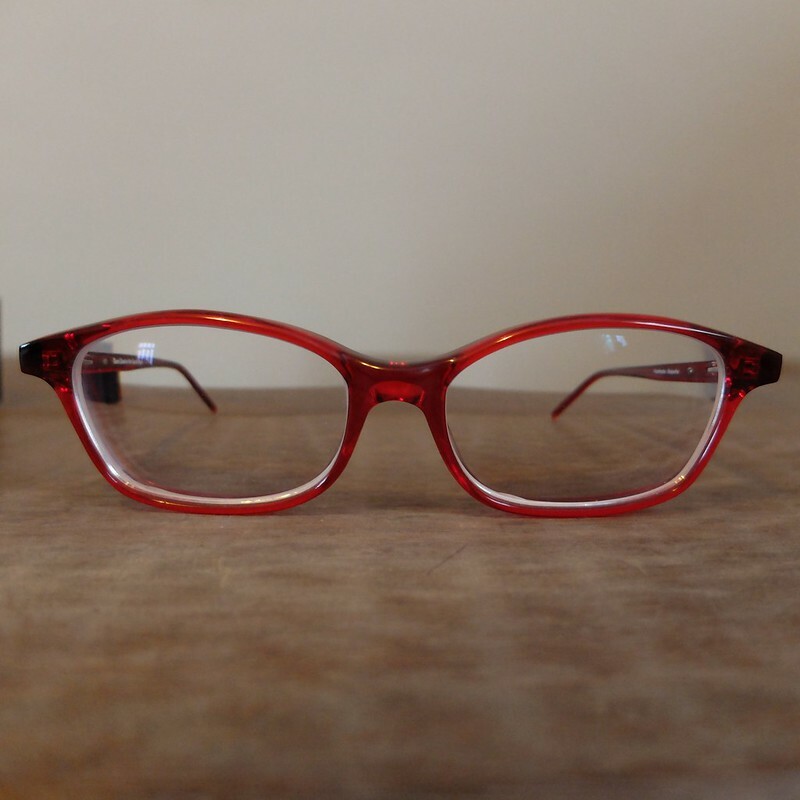 The beauty about a bespoke pair of glasses is that you can have the frames tailored to your face exactly. 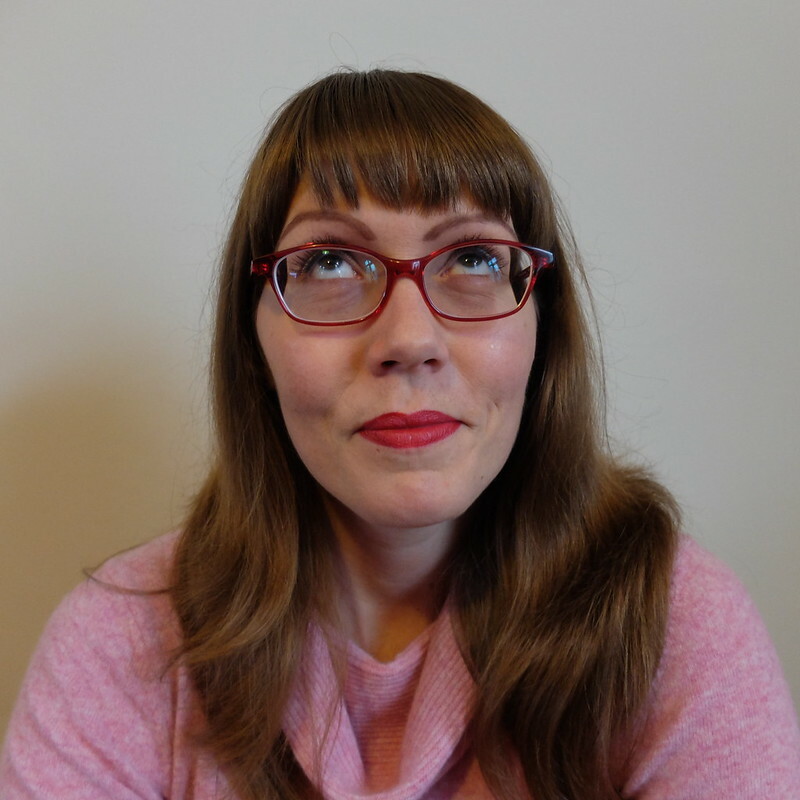 I tried on a similar pair to the one I ordered, but then chose the colour - red frames and arms - and my optician carefully made miniscule adjustments to make them the best possible fit. A millimetre on the top, 2 millimetres off the bottom, a millimetre off the bridge. It's that precise. Once all the measurements and colour options have been decided, they're inputted into the computer and off they go to Tom Davies. To add to the build-up, they send you videos by email of glasses being made, set to an Ibiza chill-out lounge soundtrack. My glasses took just 3 weeks to be made, which I was impressed with. The glasses arrive in a beautiful presentation box, along with a technical drawing of the exact specifications of your frames. With baited breath I tried them on, and...they fit perfectly! No adjustments needed whatsoever. For my prescription, these are the most 'normal' glasses that I will ever have, with no lens thickness visible past the sides of the frames. 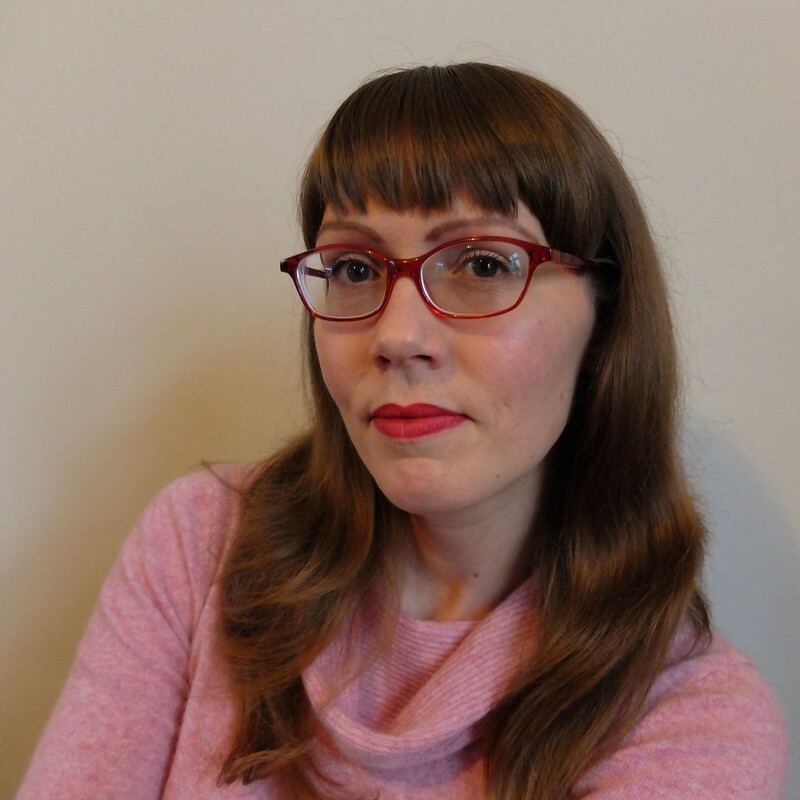 It's taken me a while to come around to glasses again, since the freedom that contact lenses gave me, but I'm really, really pleased with these fab glasses, and look forward to wearing them more on winter evenings as I cosy up with a book or a boxset. Thank you to Francesca at Fulgoni's Opticians in Abergavenny for talking me into having the bespoke frames, and for getting such a perfect fit! Now, the 'ouch' bit is the cost. The frames were around £300 and the lenses brought the total cost up to just under £600. Yes, that is a lot of money, but if you're very poorly sighted like me and need a strong prescription, as well as having a slightly smaller than average face, then going with a bespoke frame is absolutely worth it to get a pair that suit you, fit well, and will hopefully last a long time. 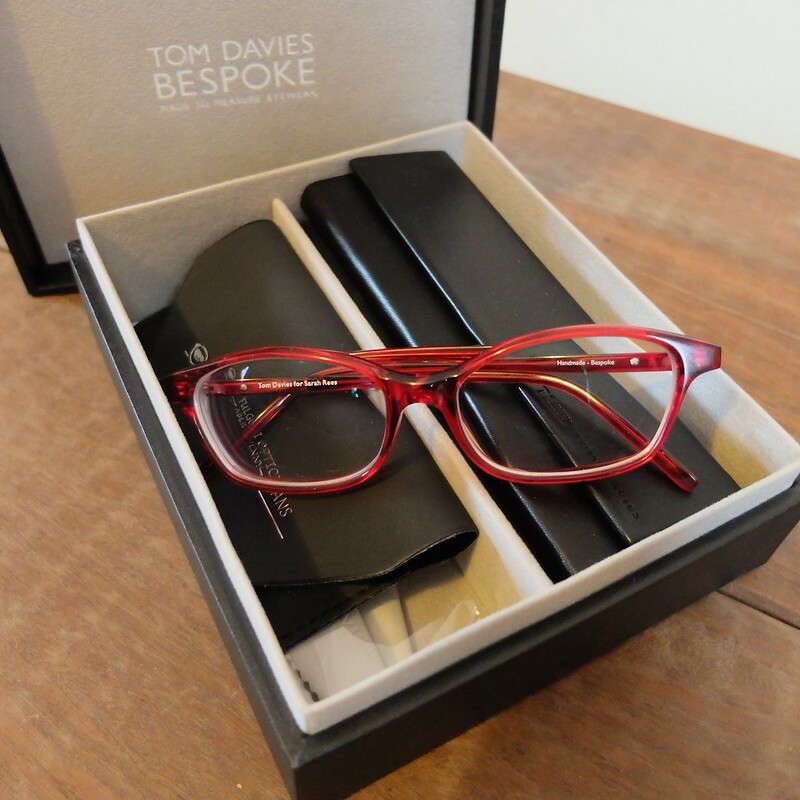 Tom Davies eyewear is a London based company that offers a bespoke service, have a look on their website to find out if your local optician is a stockist. Yikes that is an investment! Clearly worth it for you though - not only did you get frames that fit you exactly, but they're quite unique too. Win-win! They are rather lovely. They're absolutely, flat out gorgeous! 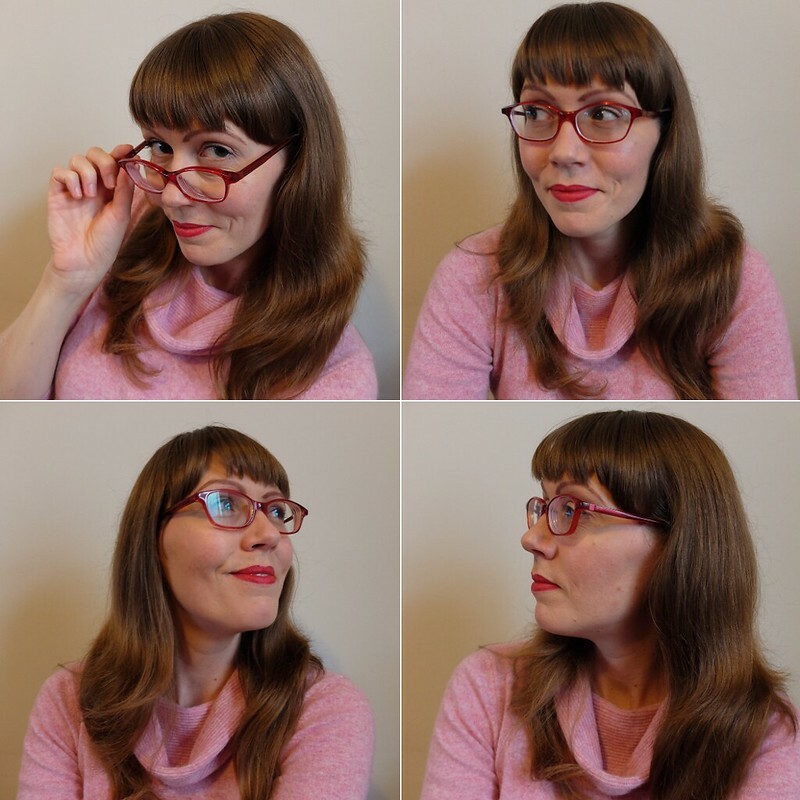 From the glossy cherry hue to the classic shape, these are honestly some of my favourite frames I've seen in ages and certainly ever being sported by a fellow vintage loving gal. They're fantastic. I love the colour and the shape really suits you. 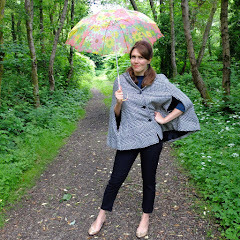 Very nice :) How great is it that there are so many more options these days when it comes to styles, colours and frames? I have one long and one short sighted eye so I am limited to what styles of frame I can wear, in years gone by it was a case of this is it, whether it suited me or not! Wow! I've never known glasses could be so custom made! They are very cute on you and I love the red! Also, did you get your bangs recently trimmed or is it just the glasses accentuating your face? Either way, very cute! I love the throw back photos of when you were young too! So fun to see that. I love the color of the frames! They look lovely on you. Glasses are so important, they really structure your face. What a nice feeling to get a pair you love. P.s. You are too cute in the old lady glasses as a kid. Those are lovely glasses and really suit you. It must be fun to see them being made, too. I can't wear contacts as my eyes are too dry, but luckily can get by with Superdrug specs. My eyes seem to get worse every time I get tested, so I don't think I'd dare to shell out for pricy glasses as they'd only last me a few years. I am astonished as to how lovely the lenses look despite the high prescription!I myself have a very high prescription that recently went up to -11 and -12. I've been agonising about what style frame to get - I'm fed up of the rectangular styles I've worn since I was a teen so found a lovely round pair that are only 48mm. I've just spent 600 on getting essilor lenses and the frame and wish I had seen this post first. My question is, what type of lenses do you have? You have practically no power rings at all so your eyes shine through the lenses beautifully! 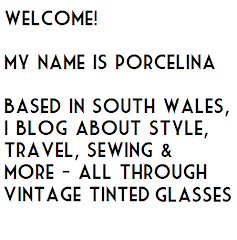 Hi Soumaya, Thanks for your comment! My lenses are 'high-index', or compressed lenses, which means they are 45% thinner than normal lenses. I am not sure of the science, so be sure to ask your optician. I'm so pleased with my frames and lenses - well worth the splurge.